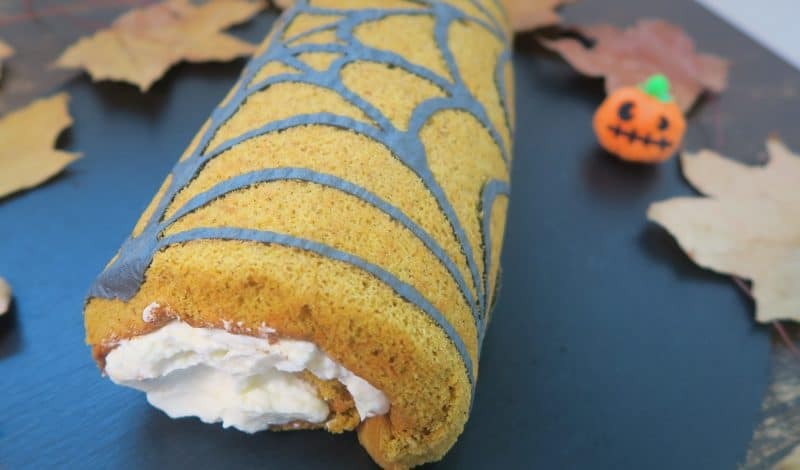 Pumpkin spice season is in full swing and this gluten free swiss roll recipe mixes this classic autumn flavouring with a spooky twist for a Halloween recipe to impress. 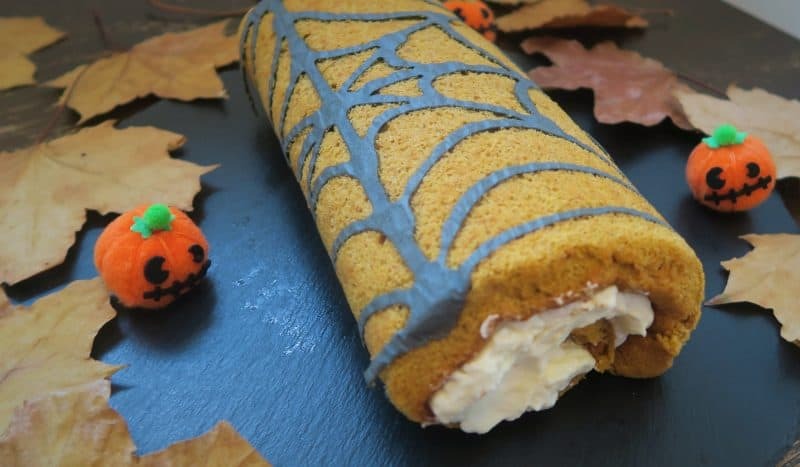 I’d been dying to test out a gluten free swiss roll since watching the Bake Off contestants make mini rolls, and I decided why not go all-out and turn it into a Halloween show stopper? I used ready-made tinned pumpkin puree (which I found in the American section in Sainsbury’s) but you could make your own after your carve out your Halloween jack o’lanterns by roasting the pumpkin flesh and then pureeing it down. I love pumpkin puree – it’s such a versatile ingredient, great for protein pancakes or these spooky gluten free brownies. Although this recipe looks complicated, it’s actually surprisingly easy. Once you’ve practised your piping it’s as simple as piping on the pattern, setting it in the oven, then spreading the swiss roll mix over the top. Rolling and unrolling it is a bit nerve-wracking, but luckily the gluten free sponge is pretty flexible so even though you have to be a bit careful, it’s not as hard as it appears! 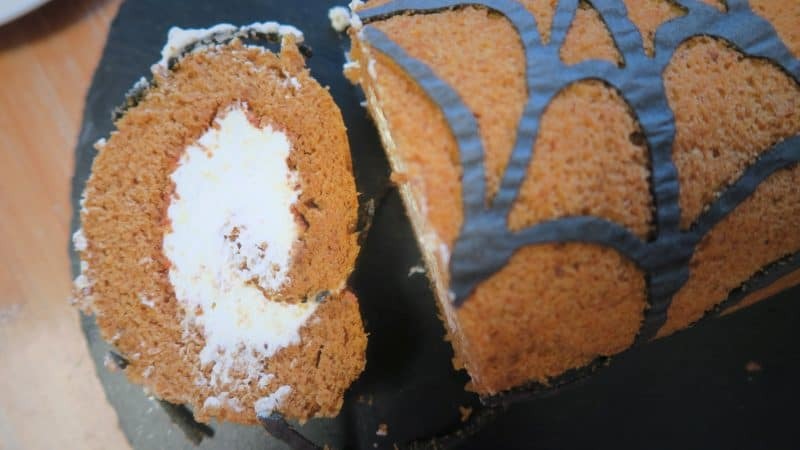 I love the way this gluten free swiss recipe involves all the delicious Americanisms of Halloween, with a pumpkin spice sponge and a cream cheese filling. The sponge is delicate and warm from the spices, and the cream cheese is sweet and rich. They compliment each other perfectly and would be a perfect centrepiece for a Halloween party. I used the Free From Fairy’s gluten and rice free wholegrain flour in the sponge and it worked amazingly! 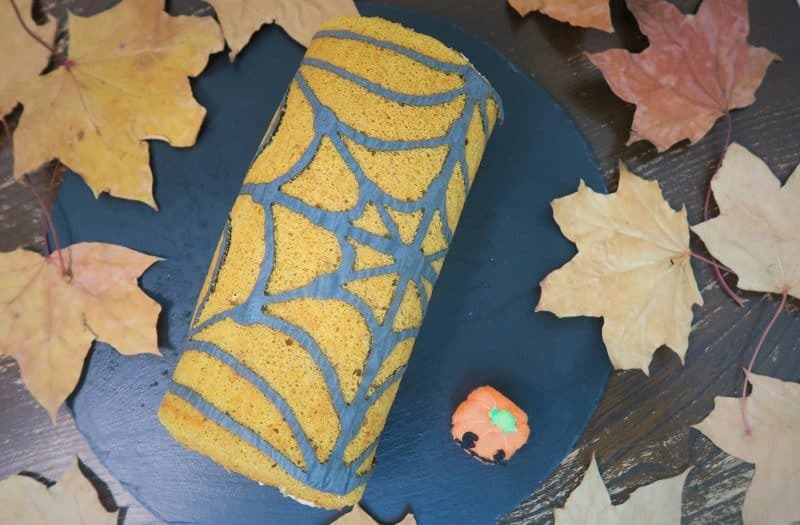 The perfect Halloween recipe, a gluten free swiss roll with pumpkin spice flavours, decorated with a spooky spiderweb! It's the perfect Halloween party showstopper. Preheat the oven to 180'C and lightly grease and line a swiss roll tin with baking paper. In a small bowl mix all the ingredients for the spiderweb part of the swiss roll until combined. Add enough food colouring until the mixture is completely black. Pour into a piping bag, with a 2mm nozzle, and set aside. Next make the gluten free sponge. Add the egg whites and caster sugar to a large mixing bowl and mix with an electric whisk for around 10 minutes until it is light and foamy. Add the pumpkin puree and lemon juice gradually, whisking in until it is combined. Do not over whisk - just enough so it is mixed through. Next gradually add the dry ingredients and fold in using a metal spoon. Again, you don't want to over-mix as you want to keep the air in there! Just fold until the mix is completely combined. 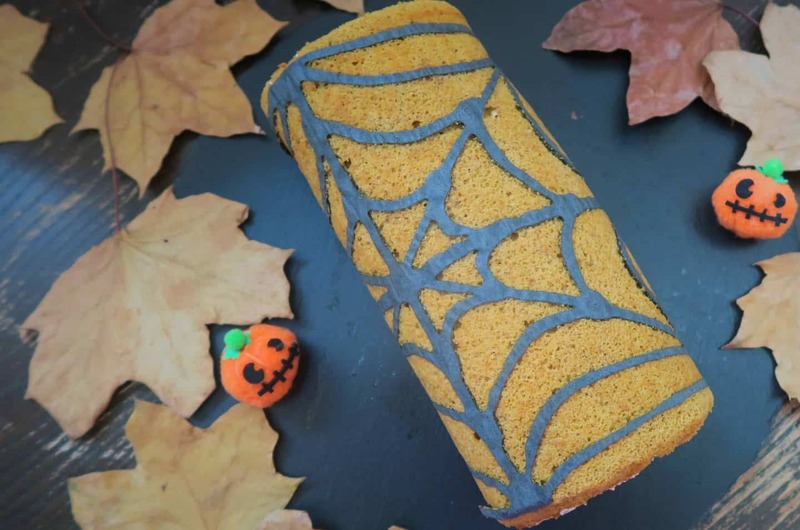 Using the spiderweb mixture you had set aside, pipe your spiderweb pattern onto the swiss roll tin. Place in the oven for 1-2 minutes until set. Remove from the oven and cool for a minute. Then pour the swiss roll mixture over the top. Spread evenly and place back in the centre of the oven for 12-15 minutes. You want it to be a golden colour and for the middle to spring back when you press it lightly. Once removed from the oven, you need to turn it out. To do this, place a piece of baking paper onto a large chopping board. Place the board (paper down) on top of the swiss roll tin and turn upside down. (Very) carefully remove the lining from the turned-out swiss roll. You will need to be delicate with this and do it slowly so you don't break the spider web. 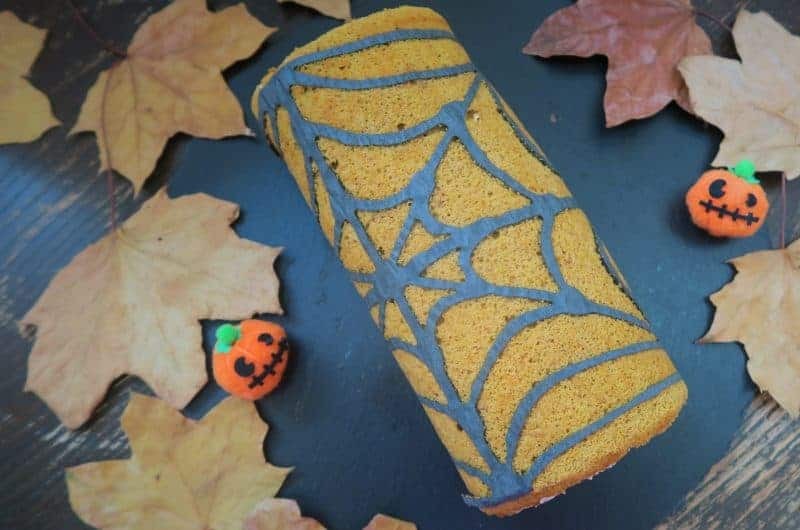 Now the swiss roll is turned (the spiderwebs should be on the bottom) remove the top piece of paper and gently roll the sponge up. You don't want it to be too tight. Once rolled, allow to cool completely (it helps to put the slit at the bottom of the roll to ensure it stays in position) for a couple of hours. Make the cream cheese filling by mixing all the ingredients in a mixing bowl using the electric whisk, until smooth. Carefully unroll the swiss roll as much as you can, and spread the cream cheese mix evenly. Roll it back up and cool in the fridge for another hour before eating. Enjoy as part of a spooky Halloween spread! This will keep for a couple of days in the fridge. 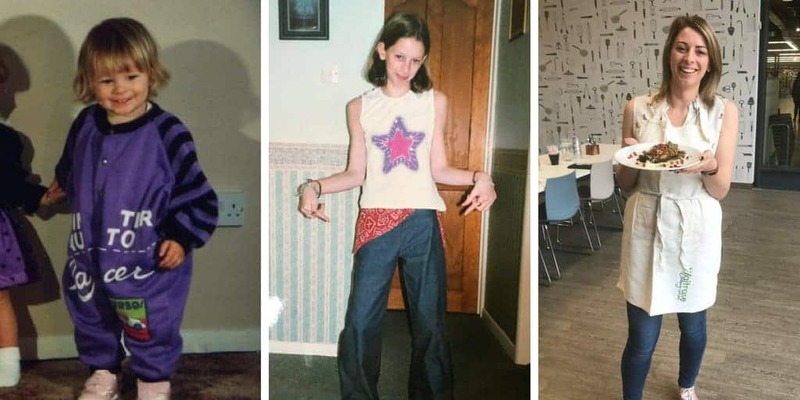 AB-SO-LUT-ELY fabulous! 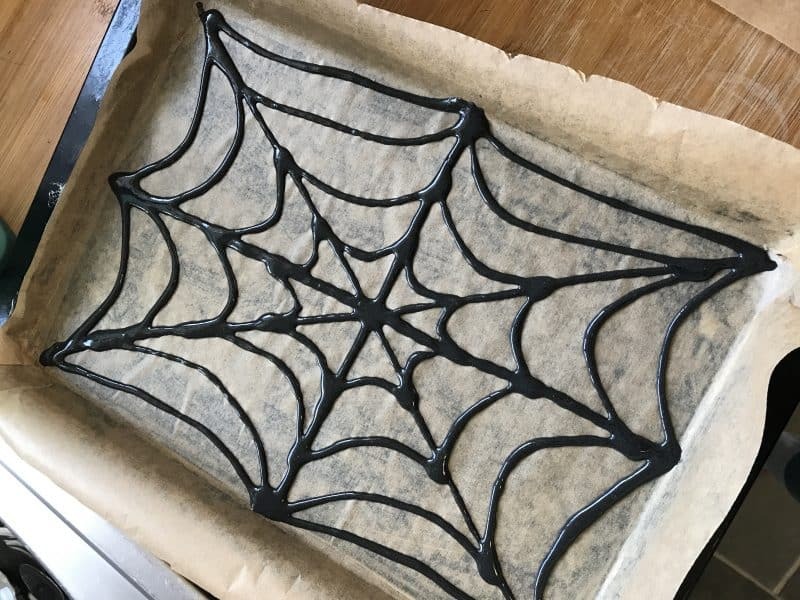 What a brilliant idea for a spooky Halloween bake. I reckon my daughter could do this given her artistic skills and she’s made swiss roll before. This is awesome!! Love the spider web effect on it…that’s very clever. 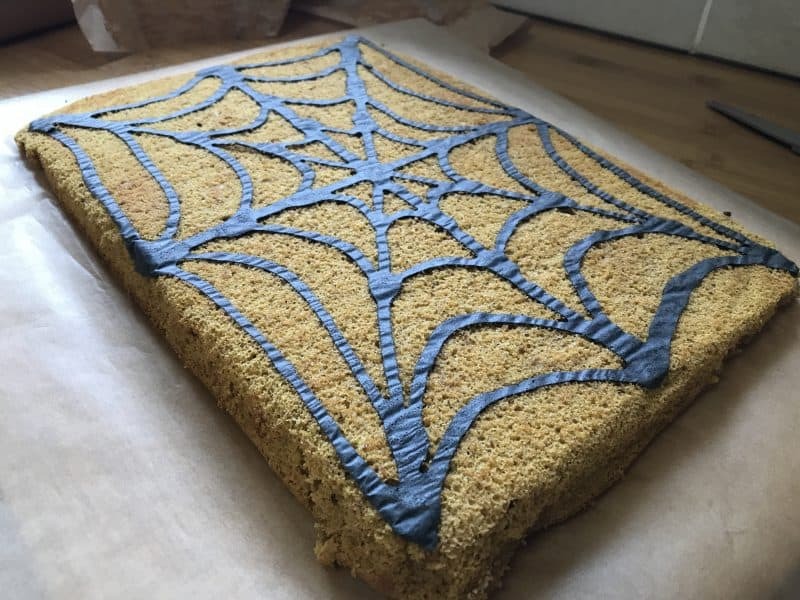 The spider web effect on the outside looks amazing, perfect for Halloween, especially with the pumpkin coloured sponge. I love this! Its soooo cute! So clever! 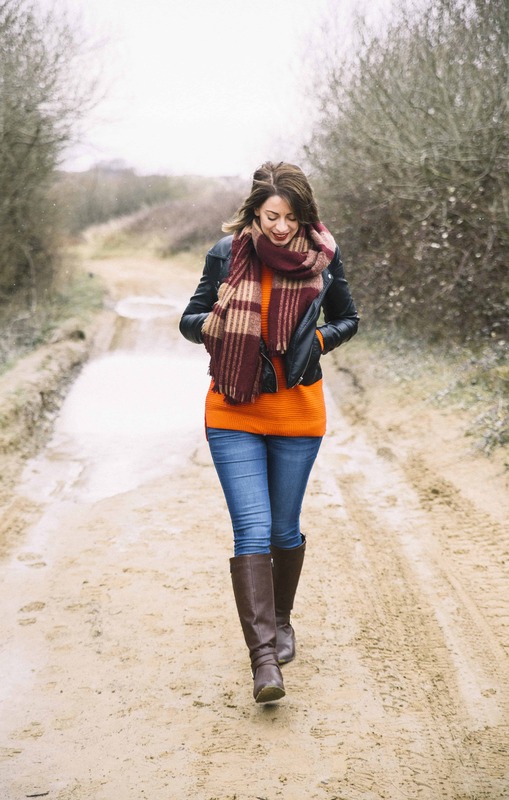 Definitely going to give a Peachick safe version a go!